Leipzig will be aiming to make amends for a 1-0 loss to Borussia Dortmund when they take on Fortuna Dusseldorf at Merkur Spiel-Arena on Matchday 19. The Red Bulls have been having their ups and downs in the 2018/2019 Bundesliga season, but Sunday’s football game could be the turning point for them. Leipzig are eager to book their place in the Champions League and we predict that they will go all guns blazing at the newcomers this weekend. 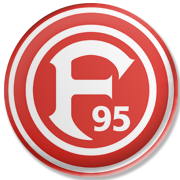 Fortuna Dusseldorf sit in the danger zone in the Bundesliga standings ahead of the visit of Leipzig and it has to be noted that they are eyeing their fourth consecutive win in the national championship. The newcomers did well to beat league leaders Borussia Dortmund at home earlier this term and seeing that they managed to hold Bayern Munchen to a draw at Allianz Arena, we believe that they are going to grab something from the Leipzig game. Diego Contento is a German footballer of Italian descent. Contento, who was born in Munich on May 1, 1990, is well known for playing for Bundesliga giants Bayern Munich. The pacey left-back won three Bundesliga trophies with the Allianz Arena outfit and in 2013 he lifted the Champions League trophy with FCB. Bayern Munich defeated fellow Bundesliga side Borussia Dortmund in the title game and that is considered the biggest success of Diego Contento’s career. After playing 49 games in the German top flight for the Bavarians, the defender moved to Bordeaux in 2014 and he has been playing for les Girondins ever since. Contento has established himself as a first-team regular at Bordeaux and he made 25 appearances for the club in the 2016/2017 Ligue 1 campaign. The former Bayern Munich footballer played for Germany at youth level and he has two caps for the U17 team, while making four appearances for the U20 squad. Diego Contento’s preferred foot is left and he wears the No 3 shirt.